Building Information Modeling, also known as BIM, has been a major innovation in the architecture industry with significant benefits for both designers and clients alike. 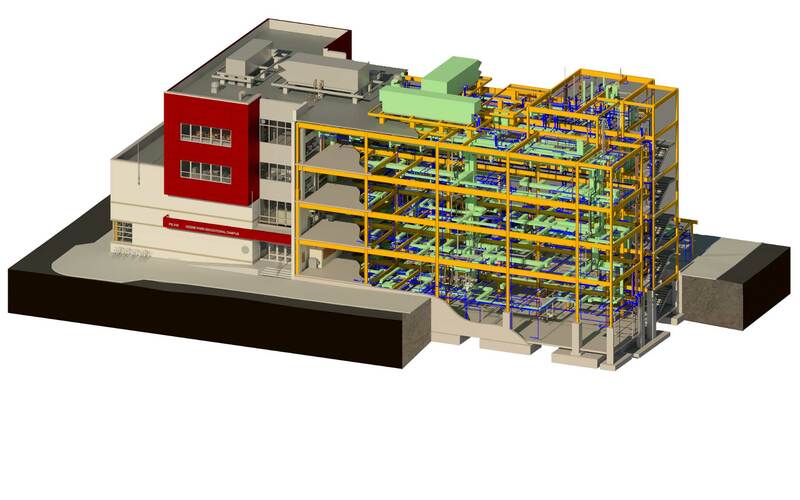 BIM can be viewed as a virtual process that encompasses all aspects, disciplines, and systems of a building within a single, 3D virtual model, allowing all the design team members — owner, architects, contractors, engineers and consultants — to collaborate more accurately and efficiently than traditional processes. This more streamlined and efficient design process generates significant savings in scheduling, project costs, change orders and errors in general which ultimately get passed on to the client. BIM models contain information of all of the quantities and properties of the components within the building, from the structural members to the paint finishes. These models serve as databases that generate specific material lists, finish schedules, door schedules, and equipment schedules complete with lists of build-out quantities, which allow for more accurate cost estimation for a project. Integrated simulation and analysis to inform design and construction decisions. How do Clients benefit from the use of BIM? Once constructed, the BIM model can be easily manipulated to provide the owners and end users a multitude of rendered views depicting a variety of potential approaches to a specific project. Graphics can be generated in elevated 2 dimension, axonometric, or full color perspective formats and presented to client in order to help visualize what the exterior and interior spaces would look like upon completion. As the BIM model contains all the information for all the difference parts of the building, the BIM model may serve as the basis of an owner’s manual for the building, offering a wealth of information that is easily accessible. In addition, when specified, clients would be able to use the model well after construction is complete to refer to material and furniture information, floor layouts, and for all types of information that would be necessary in the event of future additions or renovations to the building.